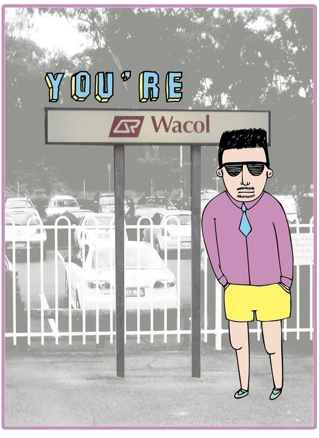 ‘You’re Wacol’ is part of our Brisbane range of transport cards featuring train stations and cute and quirky people. We started our range of transport cards in Melbourne and on a recent trip to Brisbane we decided to add another city to the range. Wacol is located on the Ipswich line, it in Zone Four.